Thinking about buying a home but you don’t know where to start? 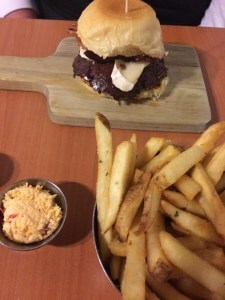 Do you like free food? Do you want to win an iPad Mini or a home inspection? Then you are in luck! On Thursday April 9th 2015 at 6:30pm, At Home in Louisville Real Estate Group will be hosting a home buyer event. Come out to our new office, hang out, and talk to Realtors who specialize in working with buyers. Learn a little about how to buy a home, what it will cost, and what to expect during the process. This is the best place to start your journey. If you have been hesitating due to credit scores or if you have a low down payment, come talk to us about your options. You might qualify for a no down payment loan or be in a better position to buy than you thought! You never know, and we have helped many buyers prepare to purchase a home. Go to our At Home In Louisville Home Buyer Facebook Event and RSVP. You don’t have to RSVP to attend, but if you do, you will 5 tickets when you arrive to our event! Those tickets will enter you into our iPad (and other door prizes) drawing. For every friend you bring, you both will get 5 more tickets! When you arrive to the event, we will tell you about more ways to earn tickets. Unable to attend our event? We are happy to schedule a one on one consultation with you. Shoot us an email at csm@AtHomeInLouisville.com or give us a call 502-821-9829 anytime. We really hope to see you there! We love helping people buy homes. You are our passion. Join At Home In Louisville Real Estate Group this Sunday for THREE Open Houses! 40 Benjamin Blvd is a lovely 4 Bedroom ranch home in Fisherville. 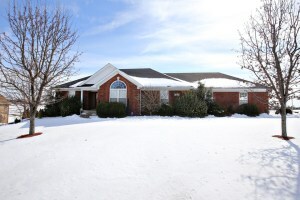 3805 Drexel Ct is a wonderful 4 Bedroom in desirable Falls Creek. 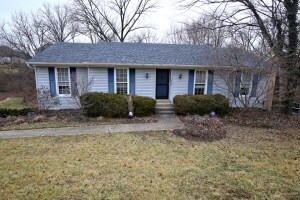 4413 Southridge is a spacious 3 Bedroom ranch in Prairie Village! Enjoy a personal tour at one or all of these three great homes for sale in the Louisville area this Sunday 3/29 from 2-4pm! Feel free to browse our website for a detailed view of all homes in Louisville currently on the market. Property details on these three homes are located under the featured listing section of our main webpage screen. We also welcome phone calls to 502-371-1173 with any additional questions. 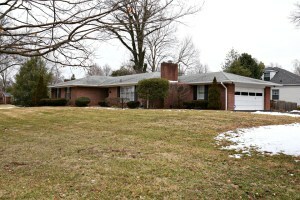 207 Bellemeade Rd Louisville KY 40222 is a three Bedroom, 3 Full Bath ranch in popular Bellemeade. The home has terrific curb appeal and is totally move in ready. Enter to the foyer with hardwood flooring and move into a spacious Living Room with gas fireplace & crown molding. The Formal Dining Room features decorative chair rail and connects to the Eat In Kitchen. Cooking & entertaining is a breeze in the Kitchen with plenty of cabinetry, comfortable dining area, natural light, & breakfast bar. There is wonderful additional living space in the study accented by crown molding & built in book shelves. 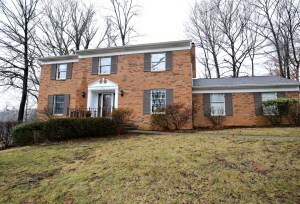 207 Bellemeade Rd Louisville KY 40222 has three comfortable bedrooms, all detailed with tiled wood flooring. Each bedroom has its own access to a Full Bath- a great layout for getting ready in the morning and maintaining privacy! The unfinished basement is large with plenty of space for storage or completion at a later date. The property also has a two car side entry garage. Enjoy quick expressway access and convenience to shopping and dining! Call 502-371-1173 for a private showing or more information about this lovely piece of Louisville Real Estate. 3805 Drexel Ct Louisville KY 40241 is a wonderful four bedroom, four full bath home positioned on a quiet cul-de-sac in Falls Creek. Enter into a welcoming foyer that leads to the Living Room with crown molding & hardwood flooring. The Formal Dining Room showcases hardwood floor, natural light, decorative light fixture, chair rail, & crown molding. 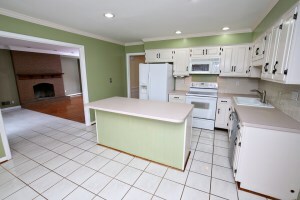 The Eat In Kitchen displays recessed lighting, crown molding, tile flooring, & plentiful cabinetry. 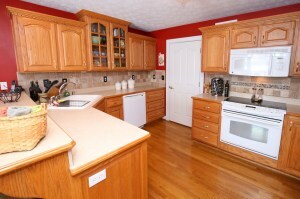 The Kitchen also offers a breakfast island, pantry, and dining area with lovely bay window. 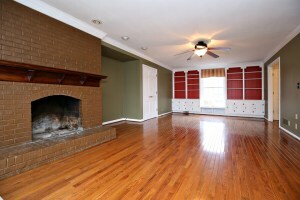 The Family Room is large with recessed lighting, hardwood flooring, & handsome brick fireplace with elevated hearth. The Family Room provides access to the back deck. The first floor also inclues a Full Bath. The second level is comprised of a spacious Master Bedroom & Master Bath along with three more Bedrooms & a Full Bath. The Master Bath is private with a separated vanity area and tub/shower combo with tile surround. 3805 Drexel Ct Louisville KY 40241 has a partially finished basement which offers a completed Family Room, Full Bath, and Laundry. There is also plenty of space for future completion in the unfinished portion of the basement. The back yard is grassy with a partial wood fence. There is also a great deck & screened porch for outdoor entertaining & relaxation. The home has a 2 car side entry garage. Several updates have been made including a new rear sliding door (2014), resurfaced driveway (2006), replacement deck (2010), fence (2012), hot water heater (2009), and chimney cap repair (2014). Call today for more information about this lovely home or to schedule a private showing of this home in Louisville. Join At Home In Louisville Real Estate Group this Sunday March 22nd from 2:00-4:00pm at this gorgeous downtown condo in Fleur De Lis! You'll love this courtyard facing unit with all the amenities! 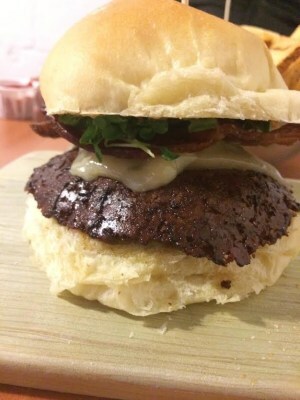 Walk to downtown shopping, dining, and events! Enjoy the beautiful open floor plan with a wonderful wall of windows for natural light! Call 502-371-1173 for more information or browse our website to explore Louisville Real Estate. Join At Home In Louisville Real Estate Group this week for two chances to view 7312 Bluffington Rd. You will fall in love with this lovely 3 Bedroom ranch in Stone Bluff Estates with a walk out basement! Enjoy over 2000 square feet of living space with nicely designed interior and a wooded lot! Call 502-371-1173 today for more information about this property or browse our website to view homes in Louisville! This Sunday Join At Home In Louisville Real Estate Group at 40 Benjamin Blvd in Fisherville from 2:00-5:00pm! You'll love this beautiful 4 Bedroom, 3 Bath ranch in Goebel Crossings! 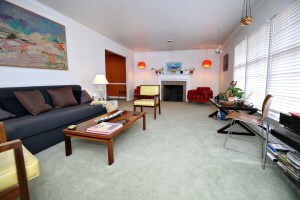 Spacious interior and fantastic finished basement. 2 1/2 car garage & peaceful views on a 2 acre lot! Call 502-371-1173 today for additional information about this property or browse our Open Houses in Louisville page for a complete list of all area open houses. 324 E Main Street #327 Louisville KY 40202 is a gorgeous two Bedroom, two Bath interior courtyard facing condo in the heart of downtown Louisville! 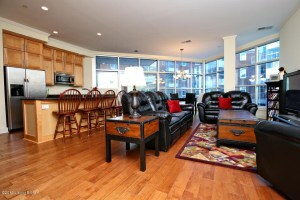 Enjoy city life with all of the amenities! The current owners have really gone above and beyond to finish this unit with upgrades including an enlarged walk in shower with ceramic tile to the ceiling in the Master Bath, top of the line neutral carpet in the bedrooms, and beautiful maple cabinets in the kitchen. There are even two personal parking places on the lower level for your convenience. The modern open floor plan is impressive & perfect for entertaining with the Living Room, Kitchen, and Dining Area all flowing into one another. The wall of windows surrounding the dining area provides relaxing views of the courtyard & adds artistic flare. The Master Bedroom is spacious with a walk in closet & Master Bath with double sinks and a tiled walk in shower. 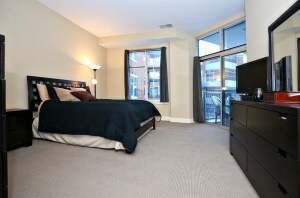 The unit also includes another bedroom, Full Bath, and Laundry. The stacked washer/dryer in the Laundry Room shall remain. 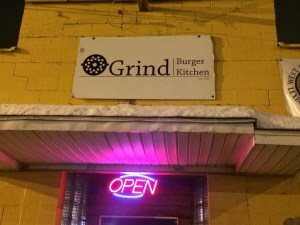 While living at 324 E Main Street #327 Louisville KY 40202 you can walk to all of the wonderful Nu Lu restaurants or take in a show at Actors Theatre, Kentucky Center for the Arts, and the YUM! Center! Fleur De Lis is a desirable gated community with additional storage, exterior maintenance, groundskeeping, internet, sewer, snow removal, trash, and water provided for residents. Residents will also enjoy the lovely finishes of the building interior along with access to a common area with fireplace that can be reserved for larger gatherings. There is also a board room & an excercise facility available to residents. Visit the link above for pricing and basic property information or call us at 502-371-1173 to discuss wonderful Louisville Real Estate currently on the market or schedule a showing. 40 Benjamin Blvd Fisherville KY 40023 is a wonderful four bedroom ranch style home with a walk out basement in Goebel Crossings. 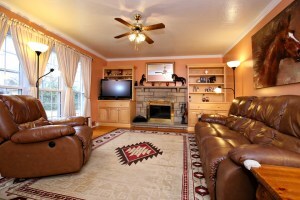 The home is positioned on a lovely two acre lot with scenic views. 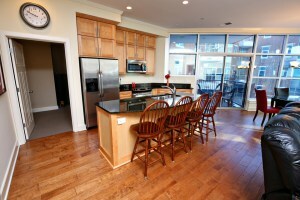 You'll appreciate the beautiful kitchen with breakfast bar, hardwood flooring, and plentiful cabinetry. 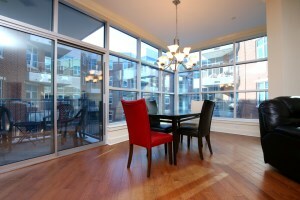 The Dining Area has abundant natural light. 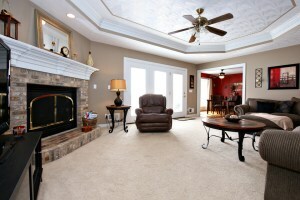 The Family Room showcases a brick fireplace & tray ceiling and provides access to the back deck. The Master Bedroom is conveniently positioned on the first floor with a palladium window and vaulted ceiling. The Master Bath offers double sinks, shower, and tub. The first level of the home also includes two additional bedrooms, a Full Bath, and Laundry Room. 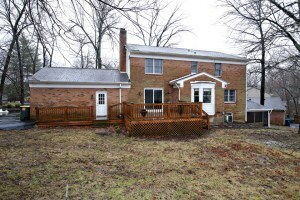 40 Benjamin Blvd Fisherville KY 40023 has a fully finished basement with amazing additonal living areas. 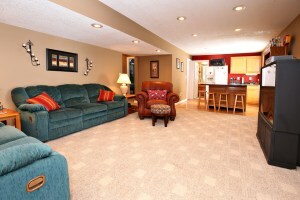 The Basement houses both a Family Room and a huge Great Room (both with recessed lighting. The Great Room displays a sitting area, kitchenette, & recreactional area with hardwood flooring that is currently used for a pool table. What a great place to entertain! In addition, the basement offers an additional bedroom & bath (perfect for a guest suite, inlaw, or teen!). 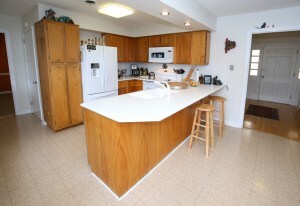 The home offers a 2 1/2 car garage as well as a peaceful back yard with deck & patio. Call today for property information about this home and speak with us about the Louisville Real Estate market!